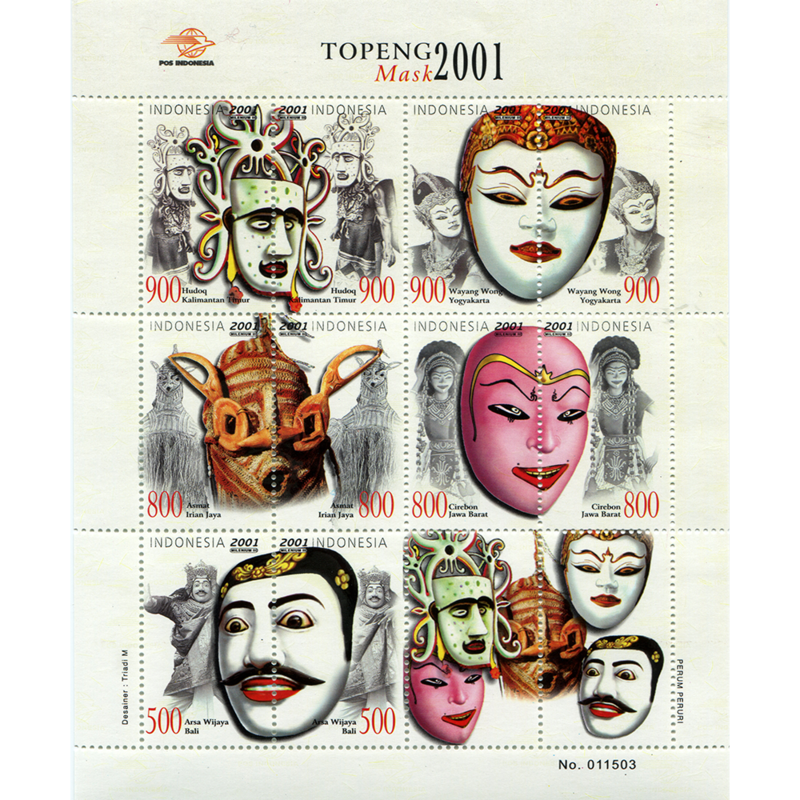 This sheet of stamps printed by Indonesia in 2001 features ten stamps of three denominations emphasizing Indonesia’s unique and diverse masking cultures. 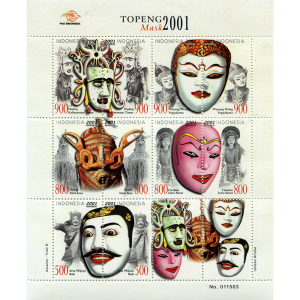 The subject is similar to a set of three mask stamps issued by the country in 1973, which depicted Javanese, Balinese, and Kalimantan masks. The masks depicted here include a hudoq mask from the Dayak people of Kalimantan; a mask of Panji from the Wayang Wong dance drama of Yogyakarta, Java; another Wayang Wong mask from Cirebon, West Java; a Melanesian wicker mask from the Asmat people of Irian Jaya; and a Balinese Topeng mask depicting the character Arsa Wijaya. 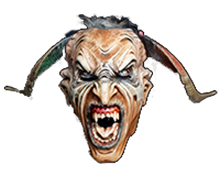 Interestingly, the masks are split in two, so that each stamp portrays half of a mask.